There is also a CSS option which helps you with padding, margin, width, background, display, color, box sizing, position, font family, text align, height, float, font size, border bottom,font weight, border, line height, border-radius etc. Another feature of this form is that it’s responsive. A responsive form customizes your form automatically according to your device. That is if you open the form in an iPad, Mobile Device or through a PC, the form will adjust itself according to the screen of your devce Click the link below and check out the Contact Form. You can also find this form in the “Contact Me” section of this page. I applied those changes and made my form look the way I want. 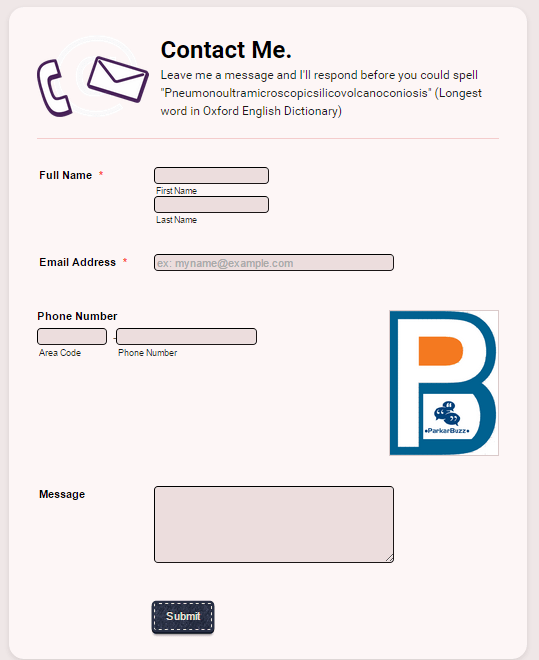 You can also check this two minute short video which summarizes how to make a contact form. 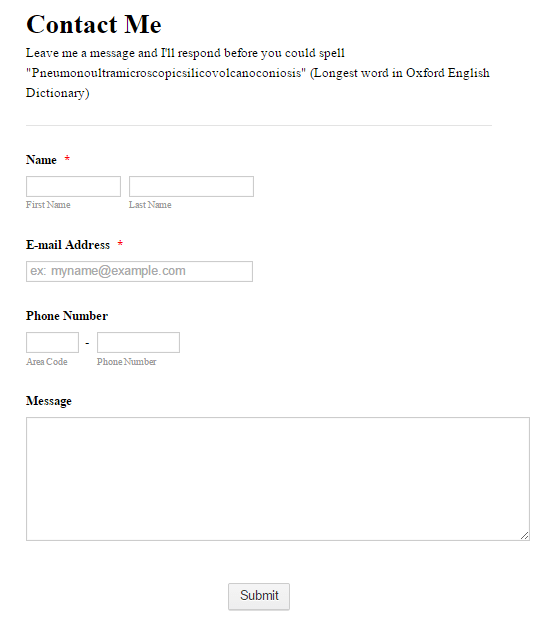 Now you can also have an attractive contact form without having much of html knowledge with the help of Jotform.com! The easiest form builder.